i☆Ris (Just As Colorful As The Rainbow) - Idol Spotlight! Okay Everyone! 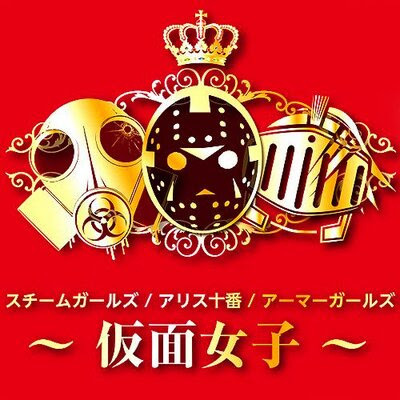 I want to bring to your attention this amazing idol group that you are bound to love. The groups name is i☆Ris like you didn't read the name in the title. The group was formed in 2012 by Dive II Entertainment, which is under the major JPOP agency Avex, which also deals with groups within iDol Street such as GEM, Cheeky Parade, Super Girls, and the iDol Streets groups. The group currently consists of six members. The name i☆Ris is based off of the word "Iris" which is the Greek word for "rainbow" and refers to the flower of the same name. The group released a application for the iPhone and Android in May 2014. Also, the group members are seiyuus, or voice actresses. They voice the girls in the anime PriPara or Prism Paradise. Random Fact: Her hobby is travelling alone. She is also the leader of the group and I have to admit that she is my oshimen of the group. Random Fact: Her special skill is playing the piano and guitar. Random Fact: Her charm point are her teeth. Random Fact: Her special skill is scuba diving. Random Fact: Her charm point is her eyes. Random Fact: She is skilled at cooking. August 20th, 2014 - Make It! The singles Make It! and Miracle Paradise are the opening themes for the show PriPara. You know that related videos section of YouTube? I watched the video for their single titled Sun on Avex Network Channel about four months ago and I instantly got hooked on the group. They were all so cute and really full of energy and it took me by storm. I moved on to various other groups as time went on but there seemed to be a bit of a hole that was left by the group. So, I went back recently and re-watched some of their videos and the place in my heart got filled with joy. I can't tell you how much I enjoy listening to this group. I honestly hope you buy their singles and albums and make them one of your top 3 as they are in a tie for first in my mind. I saw that they were voice-overs for PriPara and I started to watch it. I sadly enjoyed it. Being a guy and liking a anime like that kind of sounds girly, but I don't care because it is very colorful full of drama and comedy. I highly suggest you watch it. I will leave the link in the links section below. As I mentioned above, Saki is my oshimen. I gave her that title of the group because not only is she very cute, but she has a excellent voice and is also about two months older than I am, which is also a plus. I will be looking forward to more action from this group in the future. From their first single, titled Color. The next one is called We Are!. The third one is for the video Ichizu from the single of the same name. This one is titled §Rainbow. You can find the full version here. Now for the next one titled Gensoukyoku WONDERLAND from their third single has a bit of story behind it to me. When I first heard this song I sort of didn't like it at first, but once I hit the chorus, I got the severe chills and goosebumps and the hair on my arm was standing up. Ever since then, it has happened every time while listening to this song. I can't describe it in one word. Well, I could and that word would be Sugoi. Here is the short mv. The next one is from their fifth single titled Itazura Taiyou. 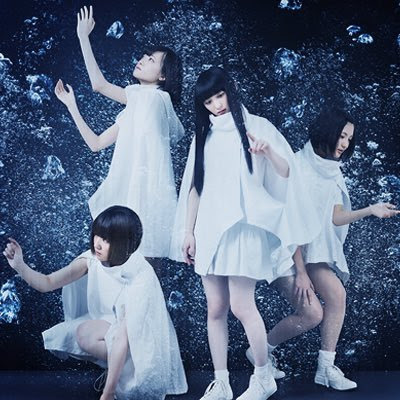 Their sixth single Make It! is a very good rock track that is the OP for PriPara. 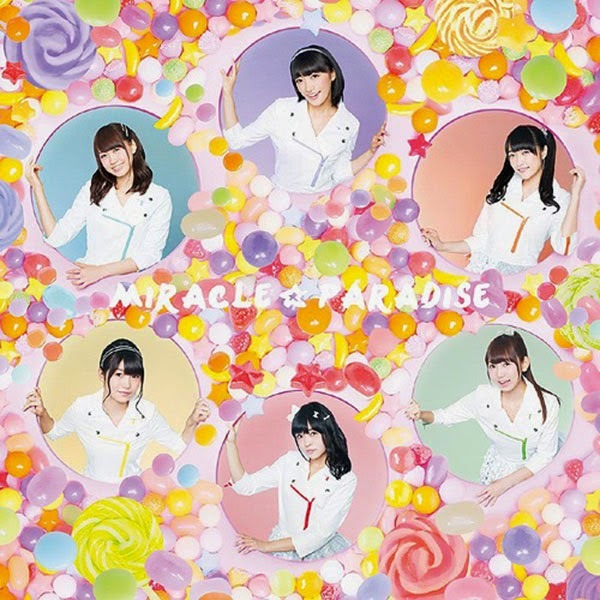 Their most recent single is called Miracle Paradise and is also the OP for PriPara. I have only been able to find the short mv for this one as the single has yet to be released. Note: For High Definition of the show, click SERVER HD. You can follow me on Twitter or find me on Facebook. Feel free to leave comments as well. Please Wherever You Are Or Whatever You Do, Enjoy Life To Its Fullest And Have A Fantastic Day! Blog Update and Current Project! Purpure☆ - Underrated Idol Spotlight! Juice=Juice - Guilty Pleasure Post Plus Pie!!!! !